On Thursday, our friend LadyAda, owner of Adafruit and Entrepreneur Magazine’s 2012 Entrepreneur of the Year, is spending part of Valentine’s Day doing something called a Fireside Hangout (this sounds awfully romantic) with President Obama. I was selected to join President Obama in a Fireside Hangout this Thursday 2/14 at 4:50pm EST on Google+! We’ll discuss issues that are top of mind for citizens, and I’d love you all to help shape this conversation. Submit your questions to http://www.youtube.com/whitehouse and the President will answer questions that are voted to the top. Don’t forget to RSVP here for a reminder to tune in on Thursday – http://goo.gl/7pxfM. Please head over, submit questions, vote up the good ones, and RSVP! Why do we need more Obama? Ok, I say that in jest. Jnoveske, this isn’t really the place for a political discussion. The very title of this thread invites our views on Obama and his impact on small businesses like AdaFruit. A positive view of Obama Policies seems to be welcome, however a negative view is viewed as ‘Off Topic’. Clearly this is not an open forum. Only the views of a ‘yes man’ are accepted here. Those who are unfamiliar with the details of Obama’s Policies seem to love him. However, those who look beneath the hype of his speeches have a less than favorable view. Small companies like AdaFruit will continue to suffer under the Obama Anti-business Administration. Restrictions in ObamaCare discourage growth above 50 employees. The penalties are unreasonable and unfair. Brits are unaware of these details simply because they don’t live here. But it’s true nonetheless. Obama is terrible for business. I sure hope AdaFruit can survive under these asinine rules. Dude, chill… I didn’t say pro or anti-Obama was ok or not ok… I just said that perhaps a forum for discussing all things computer-related was not perhaps the best place for a general political discussion which the original “why do we need Obama” very general comment could have been taken as. Now if the original comment had been “Why do we need more Obama when his IT policy is xyz?” then that would have been targeted and hence relevant and not generic. If it makes you feel better I’ve no political axe either way with US politics (read: I live in the UK). Have a choccy bar, it’ll make you feel better. Patrick, this is a blog about electronics, not politics. Please keep on topic. This is not your platform. If you want to expound your feelings about politics, please go and start your own blog. 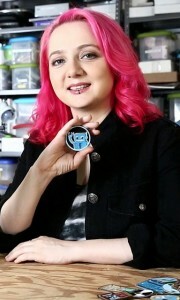 Obama’s policies will ruin AdaFruit. She should cancel her meeting with Obama as soon as possible. Say what, now? Please enlarge. With examples and statute. Wow – Fireside chat with The President! Managed to catch this last night and was impressed both by Limor and Barack. She got in two key questions about patent trolls and STEM education and the answers from the President were exactly what they should have been. Please Google, “21 hidden taxes in Obamacare”. You will see how his policies are terrible for small businesses like AdaFruit. Sadly, the Liberal Media has Sugar Coated our views of Obama and his Oppressive Tax Policies. His tax policies will greatly restrict the growth of Adafruit.